Why are millennials so into astrology and personality types? Is it just lighthearted fun or is there something deeper? We all have that friend who’s really into astrology or personality tests. You know, the one who can guess anyone’s star sign as if they were blessed by the heavenly bodies themselves, or the personality type counterpart who can determine your Myers-Briggs type to a tee. Amid the countless daily horoscopes and astrology memes flooding our Facebook feeds and the ubiquitous four-letter acronyms being proudly displayed on social media bios, it’s pretty apparent that self-analysis has become quite a thing, specifically among members of Generation Y, i.e. Millennials. Over the years, millennials have gained a bad rep for being a generation of self-entitled kids with an unhealthy relationship with technology. But it’s important to note that no other generation in history has lived through as many technological advancements within such a short period of time. 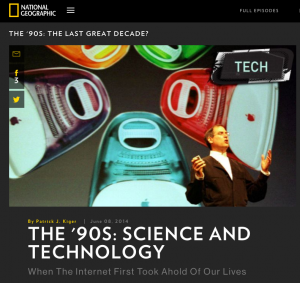 They witnessed the before and after of the technological advancements of the ’90s and early 2000s. Their childhoods were slower and simpler, marked by boxy TVs, clunky mobile phones, and dial-up connections. Their formative years, on the other hand, coincided with the rapid developments of the Information Age, namely: the internet and social media. At a time where we are constantly being bombarded by information, it’s easy to feel overwhelmed. What more an adolescent who was at the cusp of it all? Our socio-economic landscapes have evolved, and the linear paths that our parents followed are no longer the norm. These days, our paths are laid out more like a spectrum or a web; options are as plenty as they are confusing. Millennials are becoming more introspective in an attempt to make sense of the world around them. 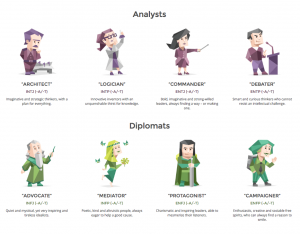 Personality indicators such as the Myer-Briggs and Enneagram provide insight on one’s character and behavior, including what types of careers, relationships, and habits would best be suited to each type. Some even go as far as analyzing celebrities’ personalities. Astrology, on the other hand, has no scientific basis, but there’s no denying its growing popularity among millennials. Horoscopes that were once glossed over at the last few pages of magazines are now major sources of traffic for sites such as Broadly and The Cut. Broadly’s UK editor, Zing Tsjeng, says that there is this tendency to turn to mysticism and spirituality during times of uncertainty. These pre-determined, seemingly arbitrary instructions on how to go about your life may seem silly. But for the millennials who are trying to figure out who they are and what they want to do, astrology and personality tests can help provide some context. They’re also just a lot of fun.